These selfies were taken towards the end of last year and I never got around to posting them. 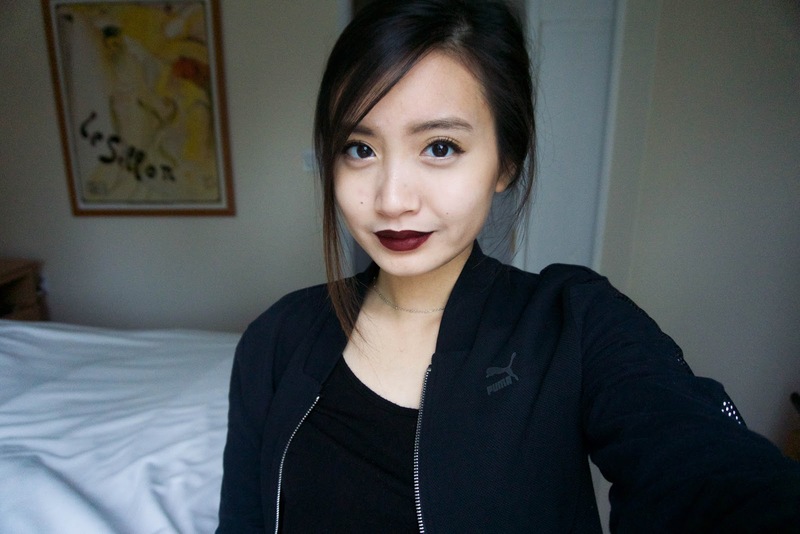 They were sitting in a folder for the longest time being neglected because my selfies make me cringe, but I really like the lip color in these few photos. 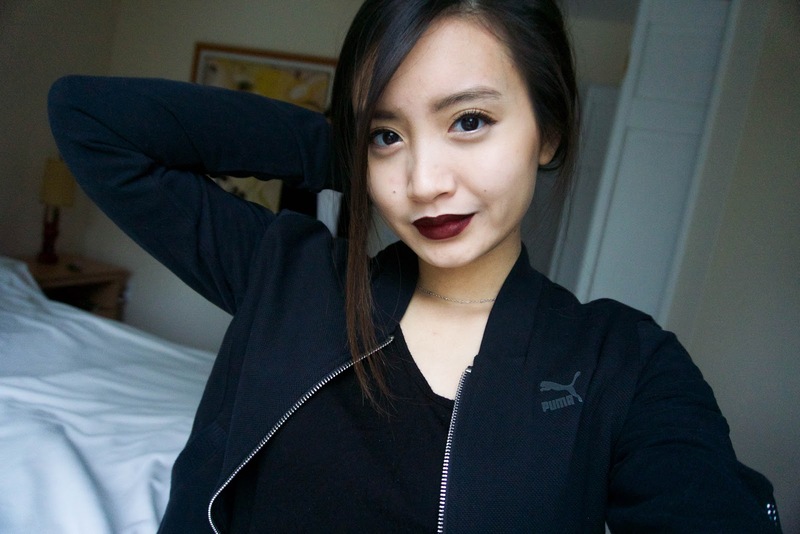 I'm wearing LAX by Colourpop. 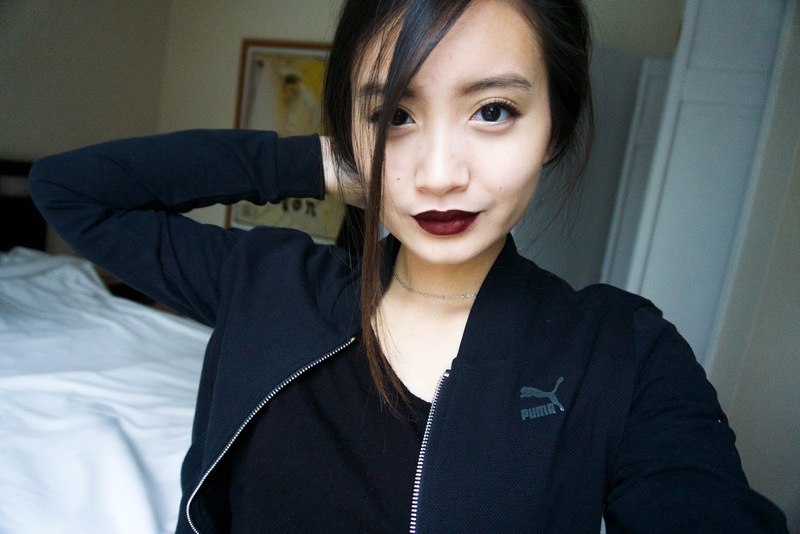 Dark and vampy is so my vibe. My hair is much shorter now, but sometimes I miss the long hair. I'm trying to grow it out and see if I want to keep it later on. I'm really spontaneous about these things. There are some other changes that will be happening very shortly, but they're good and fun changes that I'm really excited for. Can't wait for them to happen. I've also been feeling a bit meh about some things lately because I want these things to come out a certain way, but it's not. So I'm trying to learn and figure out how to make things work out. It's so easy to think 'maybe I should stop everything' or 'maybe I don't have what it takes' but I want to keep going. I should keep going. And I will!